Learn how to prune more than 70 of the most popular landscape plants to get the best display of flowers, foliage, colorful stems, and fruit. This plant-by-plant guide features instructions so simple that even beginning gardeners will feel confident about making the right cuts the very first time they prune. 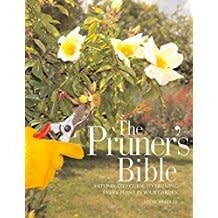 Unlike any other book on the subject, The Pruner's Guide illustrates each plant individually, ending the frustration of having to adapt a technique from one plant to another.